More event announcements for May and June! Come play with us! 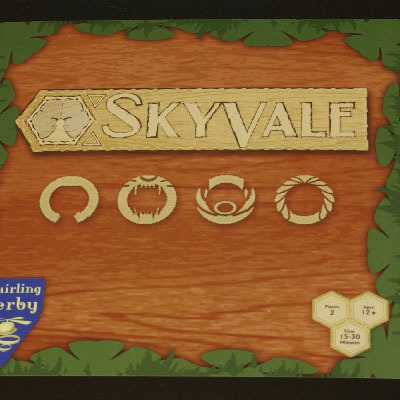 Command your army of jungle animals across both the land and sky to gain control of the valley. Two factions of the jungle are at war. Forge your way across the lush valley of Skyvale to attack and capture your opponent's pieces. But keep your eye on the sky for the eagles, who protect the ground animals and wage their own battles above! 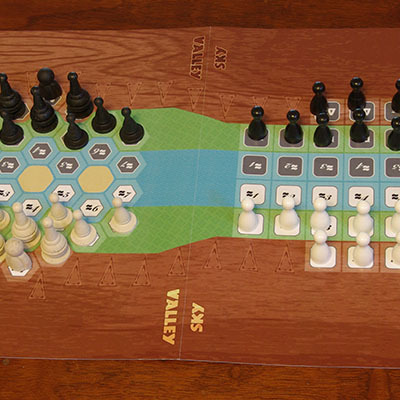 With two boards and endless strategic possibilities, you’ll find this two-player chess-like game offers an exhilarating challenge every time you play it. 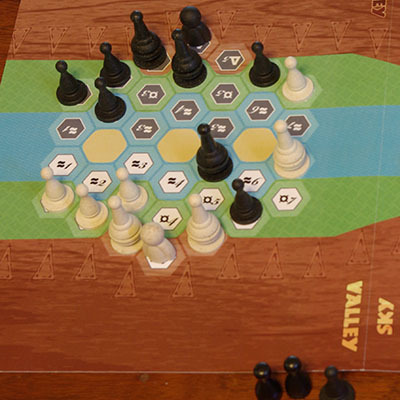 The game play is excellent, the level of depth one must dig to come up with a winning strategy is sometimes staggering, and the many different tactics one must use to get the upper hand seems to be limitless.